The term ‘city’ often elicits an image of towering metropolises. However, this image is more consistent with cities found in already developed nations. For the many towns and evolving communities in still developing countries, we have a different classification: ‘emerging cities’. These emerging cities are at the center of development, showing rapid population growth as an increasing number of people leave villages to pursue opportunity in these cities. In these epicenters of commerce, a wide range of commodities can be found in markets as people innovate and continue to improve their livelihoods. In all of this, we see promise as humanity advances and lives and communities continue to improve. Emerging cities, emerging promise. CC-BY David Luswata. These emerging cities are bustling hubs of activity: services deliver and transport goods, factories create products, government institutions and various NGO’s reach out and work to create development programs that benefit the community. 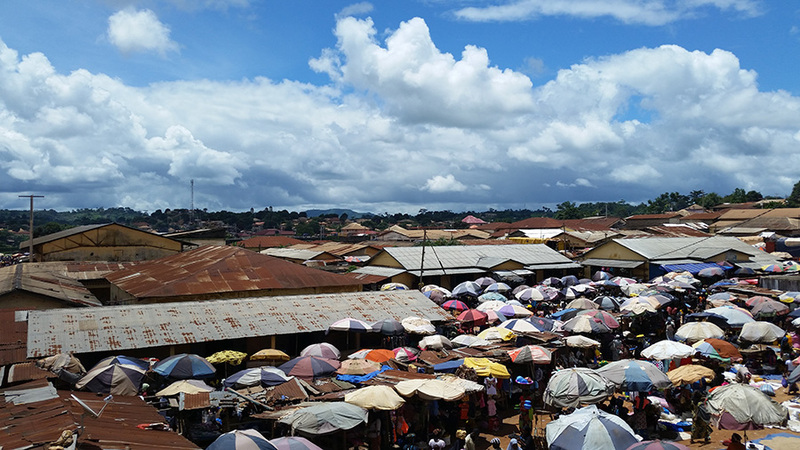 Schools, health facilities and markets serve as hosts for residents of neighboring communities and villages. In West Africa, these emerging cities are spread everywhere. Their population is increasing and they are growing. One thing is similar across all of them, nothing or not much is mapped. After initially sending volunteers to record all the population centres in the border regions, we then selected some emerging cities in Liberia, Guinea and Sierra Leone to map in their entirety. Volunteers spend hours and days moving from one corner of the city to the other mapping every mappable entity, capturing every detail. Mapping these expanding cities provides more precise information on the whereabouts of services and amenities like police stations, theaters, hospitals and hotels. When I was in Kenema City, Sierra Leone I just wanted to go to a particular hotel. It took me several stops at various corners of the city asking for the location but no one I asked knew and it had not yet been mapped into OpenStreetMap. 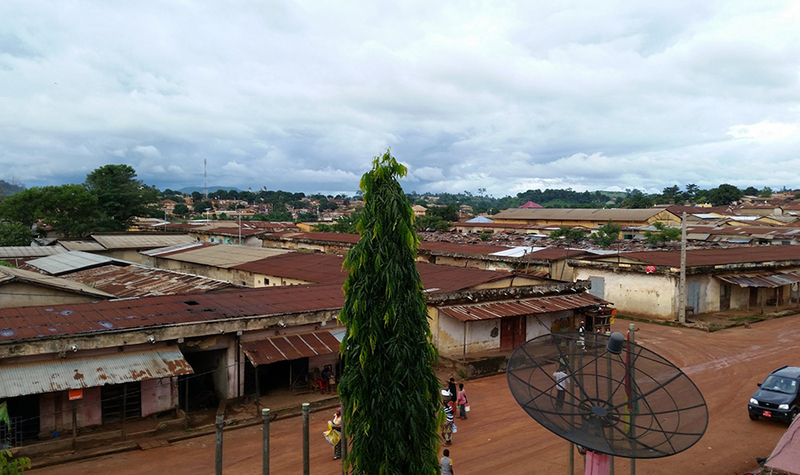 By creating an open repository of geographic data, we are working to establish a more complete and reliable resource that will prevent more experiences like the one I had in Kenema City. Mapping these cities can have a greater effect than just improved information about the location of buildings and services. Just recovering from the worst disease outbreak of recent history, Liberia, Guinea and Sierra Leone are picking themselves up and preparing to better deal with future disasters. Mapping the emerging cities in West Africa and the surrounding region is a relevant and vital part of this preparedness. Mapping the infrastructure in emerging cities can help immensely in disaster response situations. Because diseases outbreaks are a disaster that has a high potential to spread across international borders and destabilize economies, mapping these cities and regions carries an even greater importance than previously realized. Located in the south of Guinea, the city of Gueckedou is one of the major gateways to the country. Decades ago it was known for its international weekly market every Wednesday. Vendors and buyers would start arriving a day before in preparation for the millions of Guinean Francs that would change hands. It attracted traders from Côte d’Ivoire, Senegal, Mali, Liberia and Sierra Leone. Traded goods were even taken on to Conakry, the capital city. Market day in Gueckedou. CC-BY David Luswata. The wars of Liberia and Sierra Leone reached the beautiful city and changed the story. For a time, rebels and the Guinea military battled in the city, but eventually the violence ended and life returned to normal. Then in December 2013 the first death from Ebola occurred and still other deaths followed. At that time the city was not mapped, so Humanitarian OpenStreetMap Team volunteers and others traced the buildings and roads in the region in response to the crisis. The data was crucially important. Celestine mapping. CC-BY David Luswata. 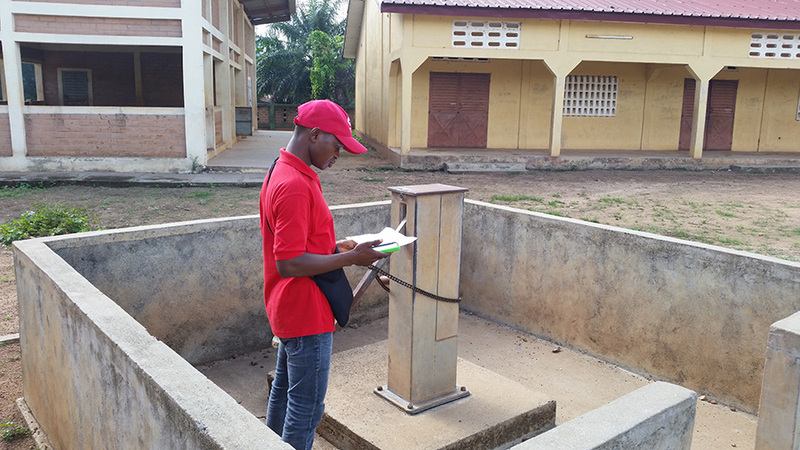 The other day, a project manager for another of the projects going on in Gueckedou was thanking us at the Mapping Hub for reducing his burden. In one town, after explaining why we are mapping and how useful it is, a lady came running after our volunteers to ask that her house be mapped. In another community, while mapping was going on, we took time to view submissions to the server to show the volunteers real time results from their efforts. The volunteers were with a local leader from this community, and as we started viewing the uploads and the mapped buildings, a group of young men came as well to steal a look. 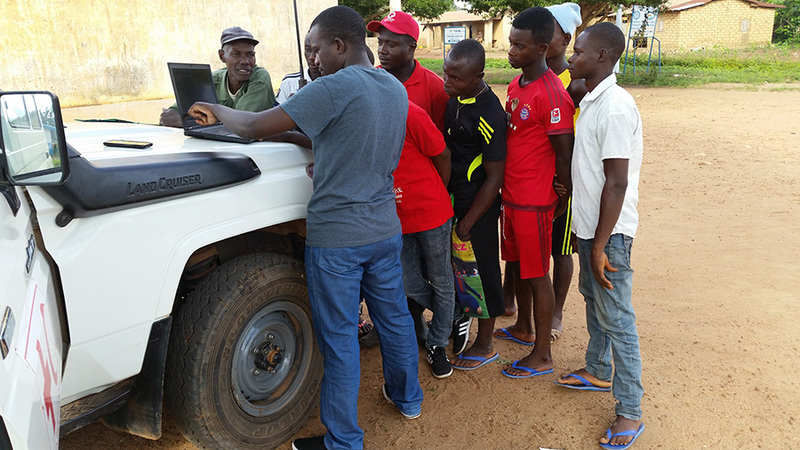 Judging by their enthusiastic looks at our work, those young men are potential mappers. These stories are true for many other cities and places across Africa. Mapping is integral to the development of nations of the world, and the local knowledge of communities that is necessary to mapping is best provided by people who live and stay in those places. It is worth noting that the importance of this mapped data is not limited to disaster response. With it, nations and governments can better understand the problems and challenges facing them and use this information to make steps towards prevailing over those challenges. There is tremendous power in knowledge, which is acquired through analysis of gathered data. In this case, governments, organizations, and civil society are benefiting from a tremendous volume of relevant data gathered by the local population and stored in a place accessible by anybody – OpenStreetMap.